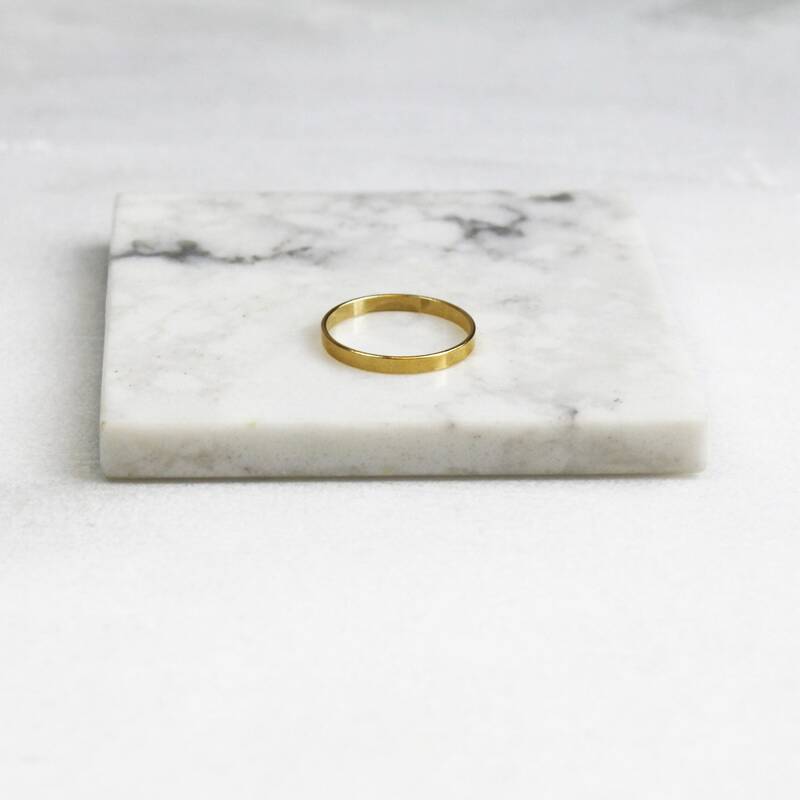 Classic and understated our plain band ring is the perfect choice for everyday. 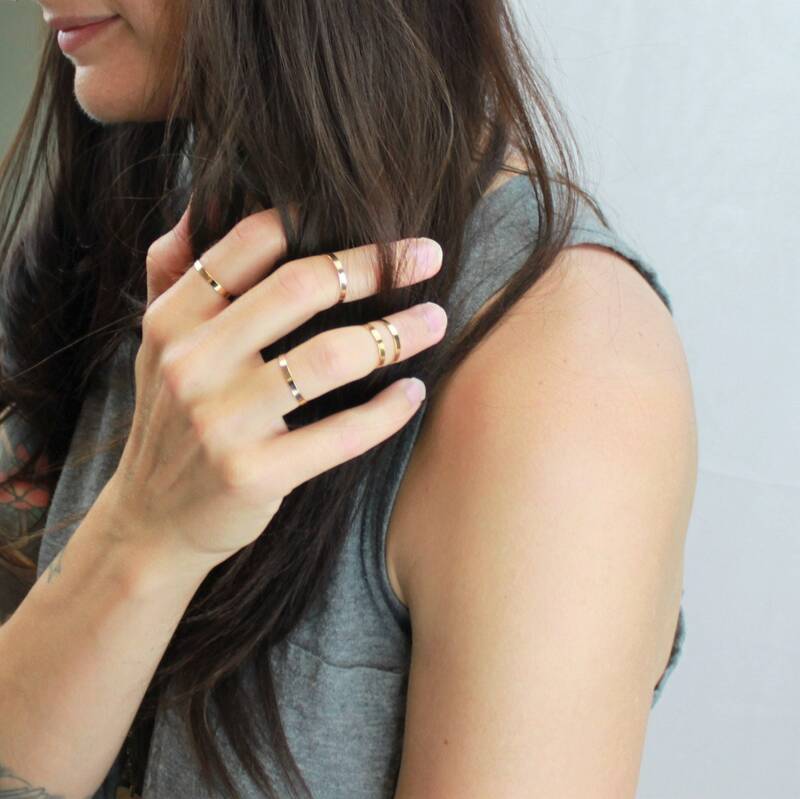 Wear a single ring for a minimal look or stack a few for a bolder look. 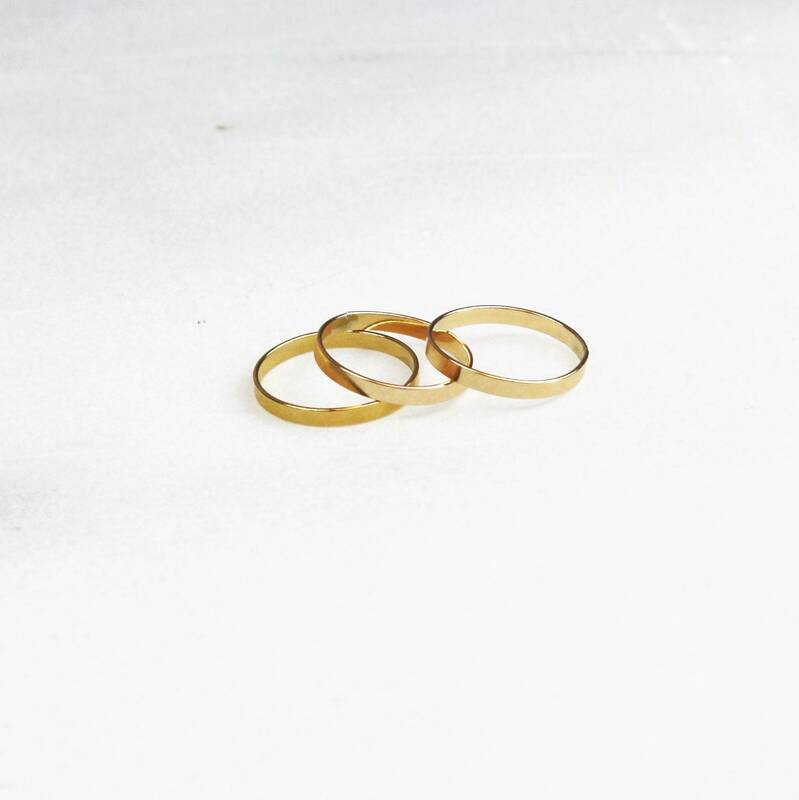 This listing is for one ring, to create a stacked look please purchase 2-3 rings. - Select from the drop down menu. They fit perfectly and haven’t tarnished or scratched after several weeks of wear. Love the minimalist look and beautiful craftsmanship. I like these so much I ordered five more! It was ship on time and the size was prefect! Thank you so much. It's so cute and fits perfectly! I am ordering more!!!! !